퓨전 IO 설치하기 / 윈도우 :: 2cpu, 지름이 시작되는 곳! Dell IO Management Server 실행하면 configuration 에 확인해 보면 경고가 나와있을겁니다. 이는 펌웨어 업데이트 하라는 경고 입니다. c:\program Files\Common Files\VSL Utils 로 이동해서 다음과 같이 입력 합니다. ex: fio-update-iodrive.exe -f -d /dev/fct0 "dell_iodrive_3.2.11-20150618.fff 다운위치"
ex : fio-update-iodrive.exe -f -d /dev/fct0 "d\Firmware\DELL_FusionIO\dell_iodrive_3.2.11-20150618.fff"
y 입력하면 펌웨어 진행 됩니다. 펌웨어 완료되면 재부팅 하셔야 합니다. 이후 Dell IO Management Server 실행하시고 Configuration 에서 포맷하여 사용 하시면 됩니다. Dell_IO_Management_Server_3.16.0.38_x64.exe 이 파일은 어디서 구할 수 있는거죠? 이글, 링크에 주소 있습니다. 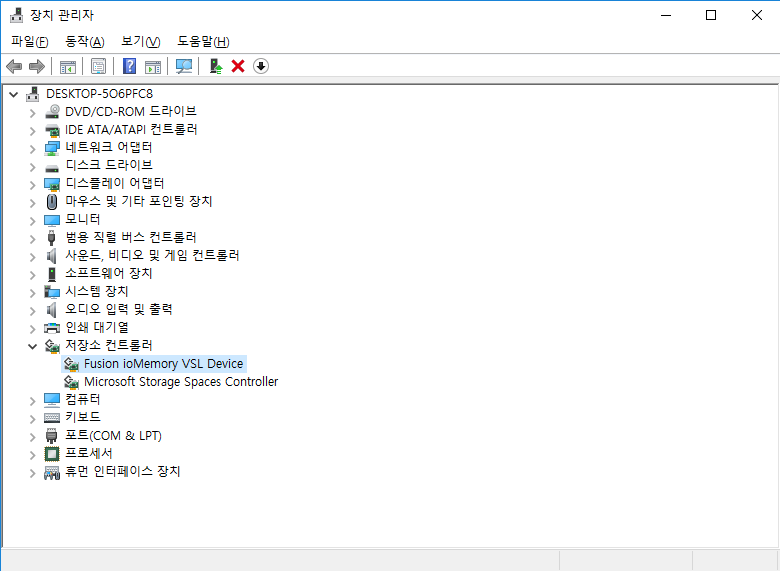 iodrive2 / windows 선택 감사합니다! iosphere / Windows / 선택하시면 받을 수 있어요..
전 에러가 업데이트 에러가 납니다. 폴더내에 정보가 없다고 하는것 같은데~ 롬이 문제인가요?